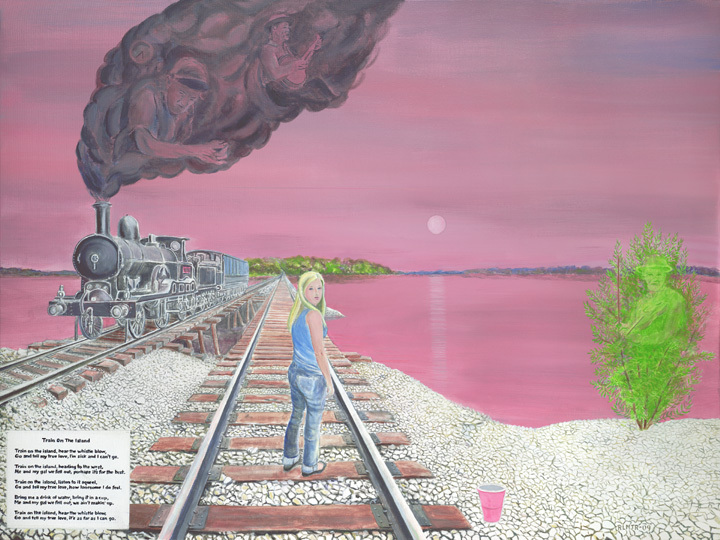 Here's the full-view of my painting Train on an Island. On the right you can see Norman Edmonds with his fiddle- his fiddle bow is also the tree branch. Directly above the girl is J.P. Nestor playing the banjo.